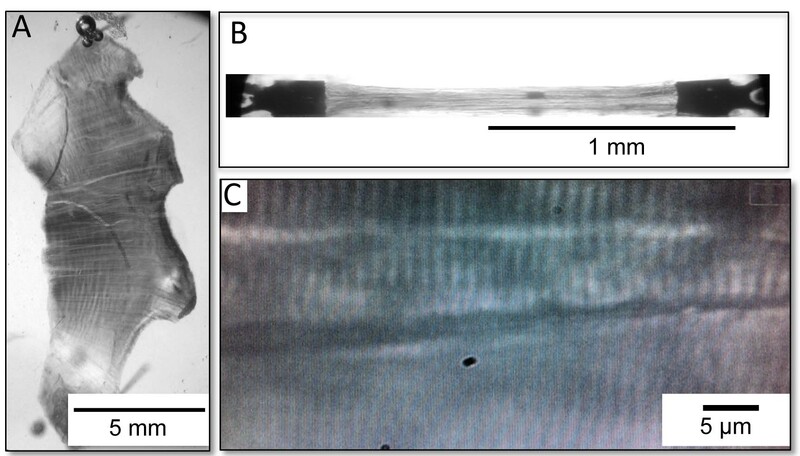 Images of a skinned trout cardiac trabeculae preparation mounted to the muscle mechanics system. (A) Trabeculae preparation attached to force transducer and servomotor using aluminium foil clips. (B) Image of sarcomere pattern through 40× objective. (Gillis et al. 2011). One reason why the trout heart is functional at temperatures low enough to stop a human heart is that it is 10 fold more sensitive to Ca2+. Dr. Gillis, during his PhD studies, demonstrated that this is due, in part, to trout cardiac troponin C (TnC). 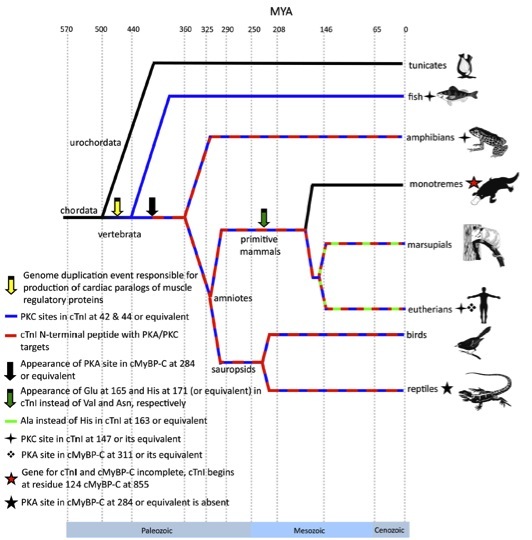 To examine how the regulation of contractile function has evolved in vertebrates, we have completed studies that link protein function with muscle function and then put these data into a phylogenetic context. These experiments exploited our abilities to clone genes, produce recombinant proteins, and measure the Ca2+ activation of cardiac muscle. MSc student K. Kirkpatrick found that trout troponin I (TnI) increases the Ca2+ sensitivity of the troponin (Tn) complex but reduces the influence of protein kinase A (PKA) phosphorylation on complex function. PKA is activated following adrenergic stimulation. 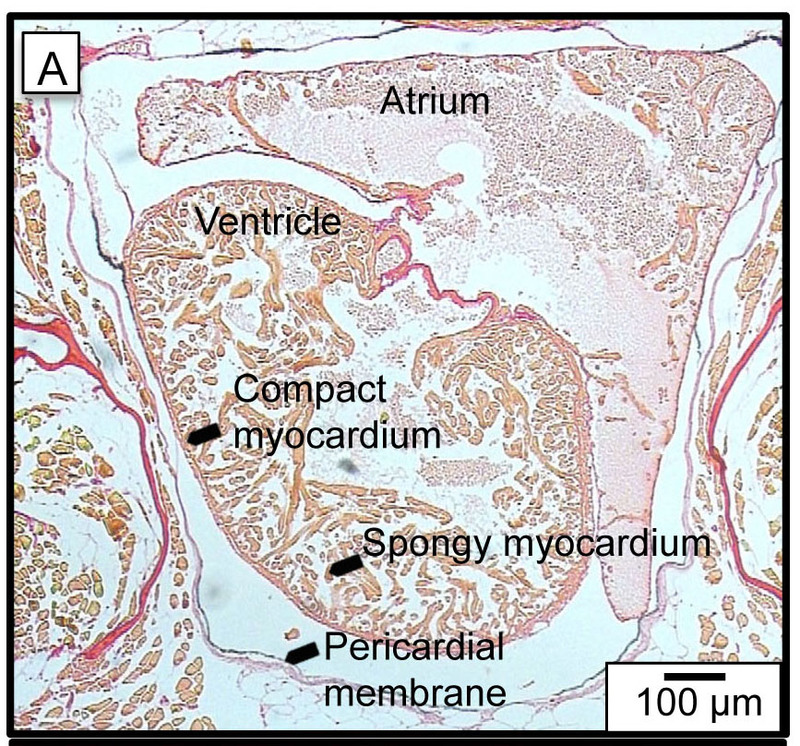 Using skinned cardiac trabeculae we then demonstrated that trout cardiac contractile function is only subtly regulated by PKA treatment. A phylogenetic study completed with Dr. J. Shaffer (UC Irvine) suggests that the role of PKA and PKC in regulating cardiac contractile function has increased over evolutionary time. This is reflected in the incremental increase in the number of phosphorylation targets in TnI and myosin binding protein C (MyBP-C) as physiological temperatures increased. We proposed that such changes provided greater control of cardiac function. One species that will provide insight into this phenomenon is the African clawed frog, Xenopus laevis. The physiological temperatures (15-30oC) of this tropical ectotherm are higher than trout (4-20oC), and as an amphibian, its heart is a morphological and functional intermediate between that of fish and endothermic vertebrates. Examination of the sequence of Xenopus contractile proteins reveals a mix of motifs from both ectotherms and endotherms. For example, Xenopus TnC contains two of the four residues identified in trout TnC as being responsible for it’s high Ca2+ affinity. The two remaining residues are the same as in human TnC. MSc student Elizabeth Sears is now working to characterize the function of Xenopus troponin and to compare this to that of trout and rat troponin. 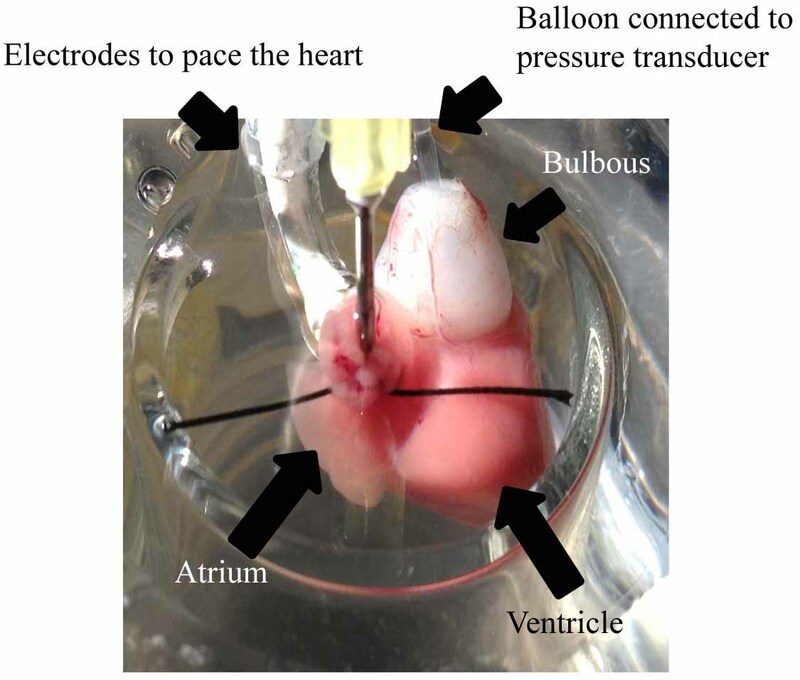 PKA treatment reduces the force generated by skinned trout cardiac trabeculae during maximum activation but it does not change the Ca2+ sensitivity of force generation. (A) Actual force generated. (B) Relative force generated. Measurements made at 15°C and a SL of 2.2 μm. (Gillis et al., 2011). 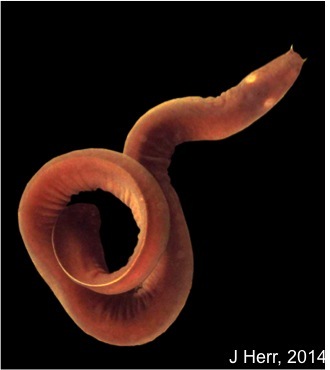 A vertebrate phylogeny onto which critical changes in the sequence of cTnI and cMyBP-C have been mapped. (Shaffer & Gillis, 2010).